Over the weekend we made some upgrades to the servers which deliver DaycareWaitlist.com including a switch in hosting providers. This is a significant step in our growth and in preparing for the long term success of DaycareWaitlist. There were no changes made to the application during this change, so you shouldn’t notice any differences in functionality. What you might notice is an increase in performance. The new servers have more “horsepower” than the previous ones and we’ve noticed a decrease in page load times by 20% to 30%. The other thing which we hope to gain with this upgrade is reliability. Over the past year we averaged an up-time of 99.84%, which is pretty good at about an hour of downtime each month. However, our previous hosting provider had some problems in October in which DaycareWaitlist was down for over 48 hours total. 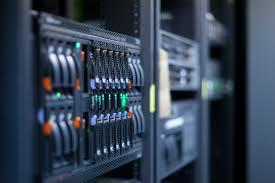 We have sought out the best in class for Virtual Private Servers and are confident that this investment will mean a faster, more reliable service for our customers.